Consumer smartphones cannot deliver what employees really need! Companies today increasingly need to incorporate new technologies into their business processes and supply chains. Only then can they assert their position and are thus able to grow. In this regard, mobile technologies are the leading factors why companies need to keep abreast of this. Especially in any industrial environment, the question arises: what is better – consumer smartphone or classic data collection device? DENSO launched the first CCD scanner more than 30 years ago and has always evolved with new innovative technologies. “To be sure, consumer smartphones are increasingly being used in industries such as retail and logistics, and they are certainly creating numerous advantages. However, they cannot serve as replacements for handheld terminals because they cannot compete with them in functionality”, says Nicole Edler, Manager Sales Support. “When mobile phones first entered our lives, they were basically used only for communication between people, which was to phone someone or to send messages”, Edler remembers. The evolution of smartphone technology has been enormous. In the supply chain sector, earlier mobile devices were not used until the late 1990s. Multitasking devices were not introduced to the market until the mid-2000s. They were still very different from the models of consumer smartphones, which have been used more and more in recent years in retail and logistics, but also in warehouse and goods management. That was because they had very limited functions, such as small keyboards and a low resolution of the screen. Even though there have been enormous technological improvements and developments in the area of consumer smartphones in recent years, one thing still applies: They may be seen as competition for mobile data acquisition devices, however, handheld terminals for mobile data collection are far superior when making a direct comparison. Why? That is quite different from the tests that the handheld terminals have to pass at DENSO. 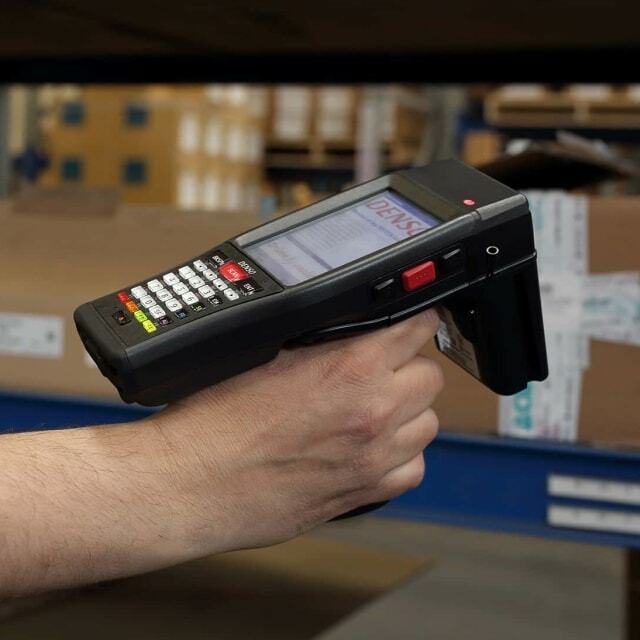 Before a handheld terminal or scanner can be launched, several hurdles have to be passed before it can meet the high demands of customers. The latest BHT-1700 handheld terminal and BHT-1800 handheld terminal are just two examples of the advantages that can prevail when comparing them to the consumer smartphone. Although data collection devices are more expensive to purchase than smartphones, they also last much longer. DENSO scores with another aspect: Many of the customers have been working with the innovative devices for more than 20 years. “As a reason, they repeatedly emphasized our service and warranty”, says Edler. In fact, DENSO has more than 190 offices worldwide, including 35 in Europe, thus providing one of the best customer service networks in the world. “We have also experienced that customers have opted for smartphones instead of our handhelds. However, they regretted this after a short time and returned to our proven products for mobile data collection”, says Edler. Due to many years of experience and direct exchange with customers who use handhelds and scanners, DENSO has reached a high level of shared knowledge. Of course, smartphones can prove useful in everyday working life in some areas: They are easy to use and also the costs are comparatively low. But in addition to the lack of robustness, consumer smartphones have more disadvantages than handhelds. The battery power is usually much lower, and the battery life is much shorter compared to handheld terminals because they are not designed to work long hours. Furthermore, working with a smartphone is not as problem-free as with a handheld: If employees in the warehouse wear gloves, for instance, they cannot easily operate the consumer smartphone. As such, a touch screen can be operated only with special gloves or clean fingers. Another negative factor is the display of a smartphone: In direct sunlight, it will often be very difficult to read anything on the screen. Hence, working comfortably is not possible. 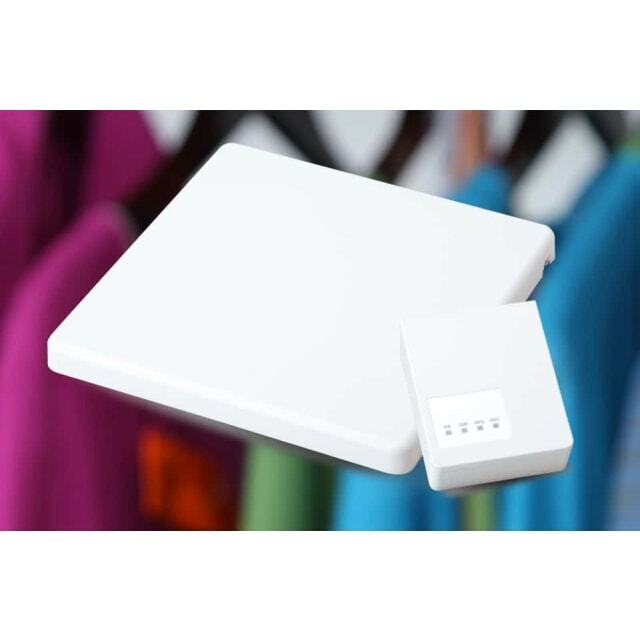 This contrasts with mobile data collection devices that have been especially developed for the requirements of the industry. “Although handheld terminals are more expensive to buy than smartphones, they are also the more sustainable option – both economically and ecologically. They can last for years,” says Edler. The handhelds from DENSO are particularly robust. Especially the popular BHT series include handhelds that are particularly easy to operate – even with gloves or wet fingers. In addition, they offer numerous benefits for users. Furthermore, DENSO provides unique quality. The company has the best DOA quota in the industry, and the high-quality handheld terminals and scanners for mobile data collection can each manage up to one million scans in the product lifecycle. “We are indeed so confident in our data collection devices that we can guarantee up to five years of hardware warranty. In addition, we give up to five years delivery and repair warranty even after product discontinuation. This is already a special feature in the industry – and does not exist for smartphones in this form,” says Edler. Conclusion: Of course, smartphones are useful companions in everyday life, and they also offer advantages in the industry. However, these are very limited compared to handheld terminals. For long-term planning, companies should always reach for the handheld terminal – it pays off. For further information, reach out today by just clicking the link of one of our contacts and hit the contact form.